GPCC President & CEO Todd Sanders discusses the Chamber’s new website, new CRM database system and upcoming summer events. The summer heat naturally encourages Arizona residents to visit other locales. And there are many places in our great state that are worthy of a summertime visit. However, while many central and southern Arizonans hop a flight at Sky Harbor or take a drive to cooler destinations, there’s still a whole lot cooking at the Chamber during these hot months. First off, to better serve our more than 2,400 members, the Chamber unveiled a brand new website on July 15. The leading design principle for the new site, built by Slalom Consulting, was to create an intuitive user experience and easy navigation. Now, whether you’re on your phone, tablet or desktop computer, registering for one of our award-winning events, renewing your Chamber membership or even sponsoring our economic development initiative – Phoenix Forward – is only a few clicks away. In addition to the new site, we also converted to a new CRM database system, which provides several enhancements and additional features to members and their profiles. Our new system places control of members’ profiles in their own hands. Want to add a picture, a business description, a website link or a video? Announce new employees? Register for an event with your saved profile information? Our new system makes fully utilizing your benefits as a Chamber member easier than ever. The Chamber team keeps our peerless events sizzling throughout the summer as well. Our August 4 Professional Women’s Alliance luncheon features U.S. Congresswoman Kyrsten Sinema and our Valley Young Professionals group will watch the Diamondbacks take on the Braves from the air-conditioned comfort of the right field party suite at Chase Field on August 25. On Oct. 11, top Valley economists Jim Huntzinger and Elliott Pollack will once again provide their can’t-miss Economic Outlook for 2017. 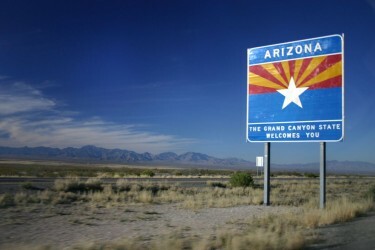 With Arizona’s economy on relatively stable footing at the moment – having added about 60,000 jobs last year – the duo will give us an idea of what level of growth to expect the rest of this year and next. I’m really looking forward to their presentations. These events, in addition to our numerous ongoing networking and professional development events, should easily keep calendars full, and more importantly, our members and guests in climate-controlled comfort! I invite you to check out the Chamber’s new website at www.phoenixchamber.com, update your member profile and register for an event. Remember although our amazing region may feel like we’ve jumped literally out of the pan and into the fire weather-wise, your Chamber is really ablaze – with activity.